DENMARK/JAPAN: MHI Vestas has achieved a power rating of 10MW with its V164 turbine platform, the manufacturer announced. The V164-10MW turbine is available for sale now, making it the first commercially available double-digit megawatt wind turbine. It is based on "proven technology and lessons learned from previous installations of the V164 platform", which has been scaled up incrementally from 7MW, the company added. The V164-10MW will be available for commercial installation by 2021, the company added. MHI Vestas strengthened the gearbox of its V164 platform, made minor mechanical upgrades and a design change to enhance air flow and increase cooling in the converter to reach the 10MW mark, it stated. It added the V164-10MW can run at sites with wind speeds of 10m/s for 25 years. 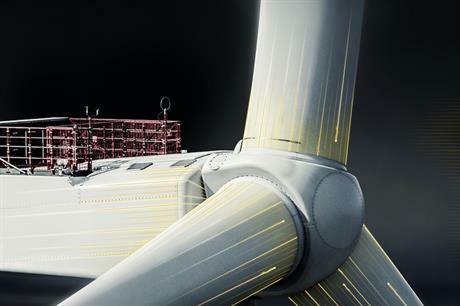 Rival manufacturer GE unveiled a 12MW offshore turbine in February and expects to start work on prototypes in October. MHI Vestas’ chief technology officer Torbin Hvid Larsen, said: "At MHI Vestas, we are focused not on what others are doing, but being the best at what we do."